Whether you are a footy fan, tennis aficionado or have been recently enjoying the Commonwealth Games and European Championships, no one can deny that it’s been an amazing year for sport so far! With the Premier League just around the corner, I’m looking forward to the last sporting quarter of the year. I never fail to enjoy this kind of competition. Watching top athletes at the peak of their performance is so inspiring, particularly when you think about the amount of dedication and hard work involved to maintain this level of fitness. As many of you know, I play tennis for fitness, fun and competition, but whatever the sport, and whoever I’m playing; I always make an effort to ‘get in the zone’ and visualise success beforehand. It’s natural to feel nervous before any kind of sporting event. Use steady, calm, diaphragmatic breathing to clear your mind of any anxiety or stress around sports performance. Begin to breathe slowly and deeply in through your nose and out through your mouth with a steady rhythm. If you can, close your eyes to focus on your breathing. Visualise drawing pure fresh air into your lungs and clearing away any stale air with every out-breath. Enjoy the feeling of the clean air filling your lungs and continue breathing away any traces of stale air. Take time to really focus on your breathing before, and during the activity. For example, if you are playing tennis, make sure to relax your body and breathe deeply between points. Before a race focus on your breath and performance, and block everything else out. You will be amazed by the difference in the way that you feel, and the way that you perform. 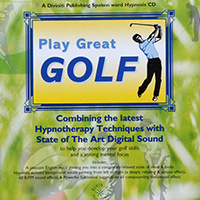 Practice this self-hypnosis technique every day for best results. These are great for amateurs or professionals alike, and helps achieve a peak performance state whenever you need to be at your sporting best. Hypnosis is truly effective. I have tried this before and it works. Hello Glenn! 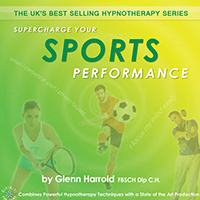 Hypnosis helps in better performance, improve your mental skills by decreasing your nervousness during clay shooting as well as any other sports. It is really a beneficial technique for an athletics in particular and general for all.